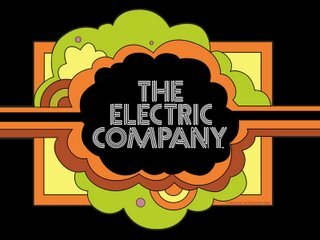 Fourth Grade Nothing: Electric Company - Hey You Guys! I remember hearing about this show although by the time I was born it was already off the air; I don't remember ever actually watching it either. The show apparently is back on PBS as of 2009. Although I never saw it, and didn't have kids yet, I never saw it! I saw the re-runs and loved them. I was too young to watch this show (wow, I never get to say that anymore!). I had no idea that's where "Hey you guys" came from. The new version is on every afternoon on PBS. I should check it out. I do remember this! :D Although vaguely. I guess it was the reruns I caught since it was already off the air before I was born. That was a blast from the past! My oldest used to watch this one. Lots of familiar faces from there. This was one of my all-time favorite shows, and the song is so upbeat. I also had no idea of the talent on the crew. I watched it regularly back then. It was a great show and is available on dvd. The new version which my kids and I watch is a little different form the original. I seem to recall the old show had a lot of comedy sketches and animation. The new show has some of that but it is mostly about characters that have super spelling/grammer powers. It's still fun but this old timer likes the original better. I guess I watched the reruns, because I was 2 went they stopped making it. I don't remember it as much as 3-2-1 Contact, but I think they ran one after the other on my local PBS affiliate.